Ingots are blocks of steel or other metals cast into shapes to be stored and later processed. Six years later, a coke plant near Division Street in Youngstown was built, in part because this was a cleaner product than coal. The material was baked in coke ovens, and unwanted chemicals were leeched out. “It was a better product to use,” Rowlands told his audience of about 40, adding that open-hearth furnaces were usually the means to convert molten iron to steel. Often, ingots were stripped, then sent through a rolling mill and to a blooming mill, which consisted of two 20,000- to 30,000-horsepower horizontal rolls. The back-and-forth process allowed the ingots to be properly shaped before being used, he continued. During World War I, a plate mill opened in Girard to produce steel for ships, which was to be part of the war effort. Nevertheless, the facility wasn’t ready until close to Nov. 11, 1918, when an armistice was signed that ended WWI, Rowlands said. In 1923, Youngstown Sheet & Tube Co. bought Brier Hill Steel and wanted to develop a greater number of markets farther west. In the mid-1930s, YS&T opened a seamless-tube mill, which was used to make stronger, more durable steel, he said. “It was very popular in the oil and gas industries,” Rowlands said, adding the product later was used to make bombs during World War II. Steel production continued, despite YS&T and other major companies having closed in the late 1970s and early 1980s, which idled thousands of Valley workers, Rowlands recalled. A prime producer was Minneapolis-based North Star Steel Co., which bought the bankrupt Hunt Energy Co. for $22.5 million and was designed to make seamless casings for oil and gas wells. In 2002, France-based Vallourec Star Steel opened a new seamless mill, he said. The company makes steel pipe for the oil and gas industries. 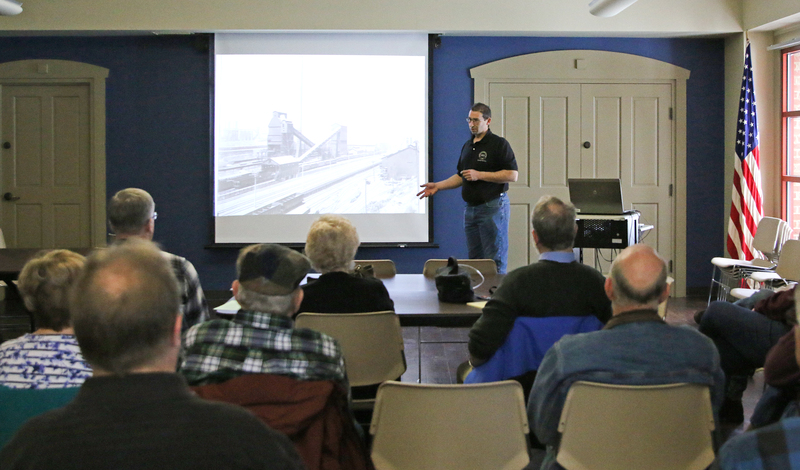 Rowlands also discussed his efforts to save the Jeanette Blast Furnace from demolition, as well as some of the industrial artifacts and relics stored at the Heritage Museum on Youngstown’s East Side. They include the large Tod Engine. Boardman Historical Society’s next free program is set for 10 a.m. March 10 at the Boardman Library and will feature Sean Posey, a local author and historian who will discuss his book, “Historic Theaters of Youngstown and the Mahoning Valley.” Reservations are suggested and can be made by calling 330-726-0651. December 31, 2014 12:01 a.m.